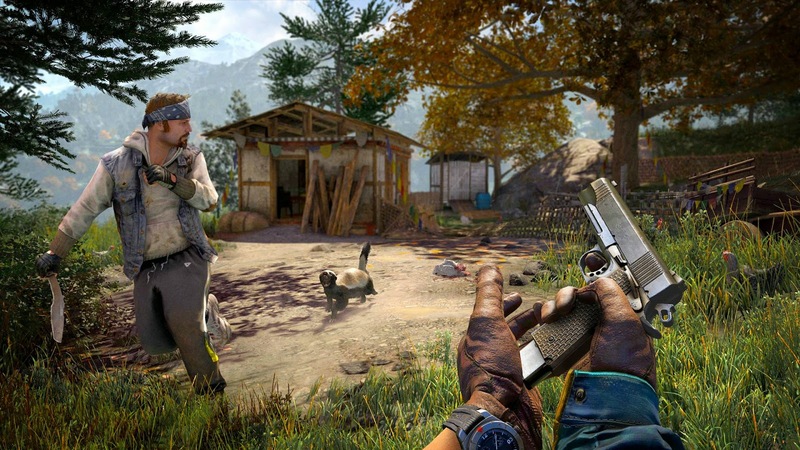 Farcry 4 is high end first person shooter game , plotted on a place called kyrat situated deep into the himalayas. Obviously this place is fictious ,so no need to plan your next holidays at kyrat. 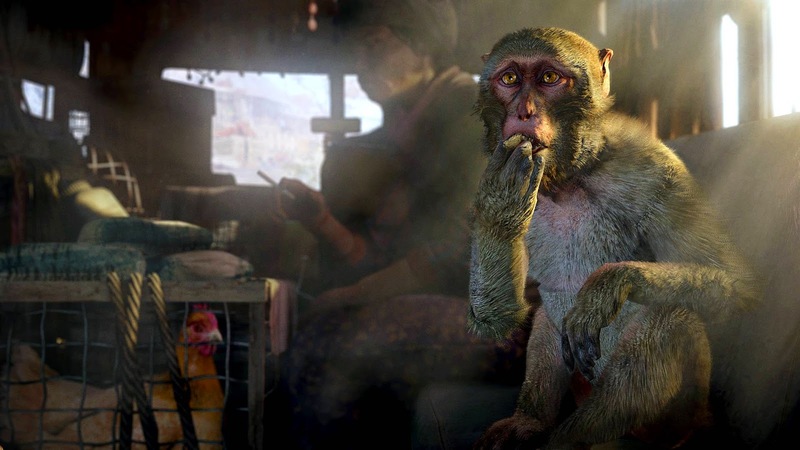 Starting forth , we play as a guy named Ajay Ghale. He is an NRI who comes from America to fulfil his mother’s last wishes, to scatter her ashes at lakshmana. Ghale is unaware of the importance of this place , which it played in his parent’s lives. The story unfolds the truth about his parents. The place in the game is divided into two groups. One group is lead by the psychopath villain called Pagan Min and the other group which is basically the rebellion group and has two leaders named Amita and Sabal. Both the leaders have different ideologies. The story is entirely based on the decisions you make. Your decisions can lead you to one of the many endings of this game. Basically you are a decision maker, you can agree with whom you want and decide what to do next. If you are playing this game in campaign mode the game will finish pretty early. Instead you can play it in a more fun way by destroying the enemy outposts and this can be done in stealth mode or by carefully planning a mission for a matter of fact. There are also some funky side missions. Side missions give you extra play time. Driving vehicles is an amazing experience which includes the autodrive function.Trust me it’s piece of a cake . 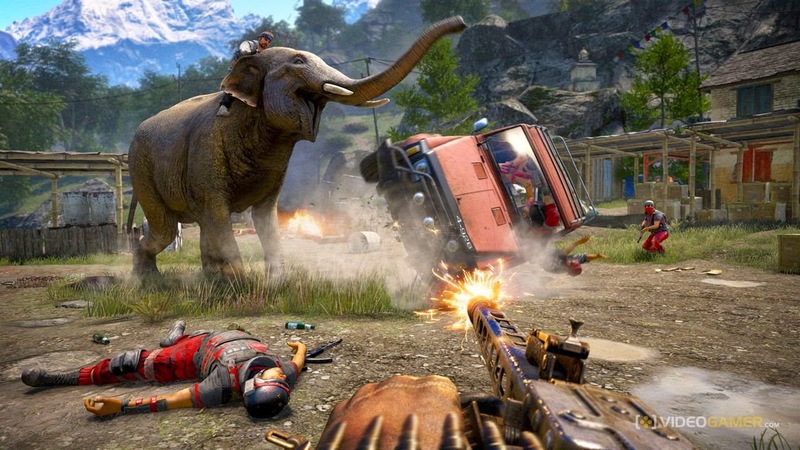 And that doesn’t end there , Far cry 4 has much more to offer. As me , playing this game , basically I can tell you that you might get attached to this game quickly. #fun fact : There is a touch of bollywood music in the background at some intervals . Even some of the conversations and threats are in Hindi. Suprisingly while loading it displays ‘ Ek Minute’ in Hindi , I highly appreciate them for making this changes ! The graphics seen in this game are appealing , everything from characters to the environment is beautifully crafted precisely. Put forth , it has jaw dropping graphics. Instead of completing the missions you can enjoy or admire the nature. The game will work decently if you have older generation consoles , But if you have a PC with high horsepower , then basically you nail it ! We highly recommend this game to pro gamers as well as newbies .